Bolted Point Fixed Glazing is where glass is supported from either steel columns or glass fins, using propriety (?) fixing bolts and spider brackets. 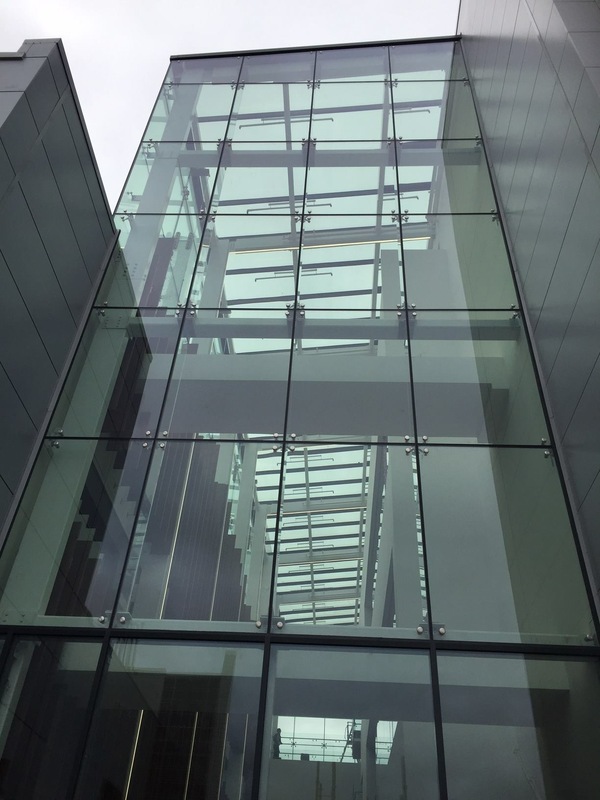 This type of glazing can be installed in single, double or triple glazing formats and can be very striking and give a fantastic clean appearance to the building facade.